Next week will see the start of the 28th Regular Session of the UN Human Rights Council (2-27 March 2015 in Geneva). PRI will be participating on two key issues: the abolition of the death penalty and the human rights impact of overuse of imprisonment. We are co-hosting a side-event, ‘Strengthening death penalty standards’, with the Permanent Representations of Switzerland and Mexico. The panel includes Juan Mendez, Special Rapporteur on Torture. The event will take place in Room VII, Building A in the Palais des Nations between 12.00 – 14.00 on Monday 9 March. Download the flyer. See PRI’s new publication on this subject. A second side-event focuses on the ‘Human rights impact of the overuse of detention‘, co-hosted by the Permanent Mission of Austria and Centro de Estudios Legales y Sociales (CELS). 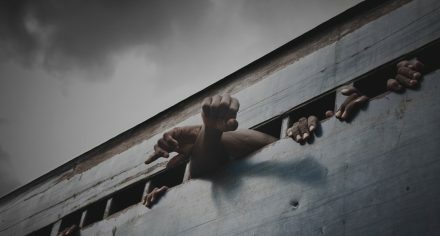 The event is following the Panel Discussion in the Council on human rights of persons deprived of their liberty in September 2014 and seeks to contribute to the report on the human rights implications of over-incarceration and overcrowding to be presented to the Human Rights Council at its thirtieth session (A/HRC/24/12). Panelists will focus on the various human rights implications of the overcrowding, caused by the overuse of detention. The event will take place on Thursday 19 March, between 13 – 14.30, Room XXIII at the Palais des Nations. Download the flyer. PRI will also sit on a panel at a side-event, ‘Children of Incarcerated Parents: Developments in Policy and Practice’, organised by the Permanent Delegation of the African Union to the UN in Geneva, the Permanent Mission of Uruguay and Child Rights Connect Working Group on Children of Incarcerated Parents. The event will introduce the African Committee of Experts on the Rights and Welfare of the Child (ACERWC)’s General Comment on this issue, discuss implementation and learning. The event takes place on Wednesday 11 March at 13hr, Room V in Building A, Palais des Nations. Download the flyer.